For an American icon painter, see Philip Zimmerman. Philip R. "Phil" Zimmermann, Jr. (born February 12, 1954) is the creator of Pretty Good Privacy (PGP), the most widely used email encryption software in the world. He is also known for his work in VoIP encryption protocols, notably ZRTP and Zfone. Zimmermann is co-founder and Chief Scientist of the global encrypted communications firm Silent Circle. He was born in Camden, New Jersey. His father was a concrete mixer truck driver. Zimmermann received a B.S. degree in computer science from Florida Atlantic University in Boca Raton, Florida in 1978, and thereafter moved to the San Francisco Bay Area. In the 1980s, Zimmermann worked in Boulder, Colorado as a software engineer and was a part of the Nuclear Weapons Freeze Campaign as a military policy analyst. In 1991, he wrote the popular Pretty Good Privacy (PGP) program, and made it available (together with its source code) through public FTP for download, the first widely available program implementing public-key cryptography. Shortly thereafter, it became available overseas via the Internet, though Zimmermann has said he had no part in its distribution outside the United States. The very first version of PGP included an encryption algorithm, BassOmatic, developed by Zimmermann. After a report from RSA Security, who were in a licensing dispute with regard to the use of the RSA algorithm in PGP, the United States Customs Service started a criminal investigation of Zimmermann, for allegedly violating the Arms Export Control Act. The United States Government had long regarded cryptographic software as a munition, and thus subject to arms trafficking export controls. At that time, the boundary between what cryptography was permitted ("low-strength") and impermissible ("high-strength") for export from the United States was placed such that PGP fell on the too-strong-to-export side of the boundary. The boundary for legal export has since been raised and now allows PGP to be exported. The investigation lasted three years, but was finally dropped without filing charges. After the government dropped its case without indictment in early 1996, Zimmermann founded PGP Inc. and released an updated version of PGP and some additional related products. That company was acquired by Network Associates (NAI) in December 1997, and Zimmermann stayed on for three years as a Senior Fellow. NAI decided to drop the product line and in 2002, PGP was acquired from NAI by a new company called PGP Corporation. Zimmermann served as a special advisor and consultant to that firm until Symantec acquired PGP Corporation in 2010. Zimmermann is also a fellow at the Stanford Law School's Center for Internet and Society. He was a principal designer of the cryptographic key agreement protocol (the "association model") for the Wireless USB standard. Along with Mike Janke, in 2012 he created Silent Circle, a secure hardware and subscription based software security company. In October 2013, Zimmermann, along with other key employees from Silent Circle, teamed up with Lavabit founder Ladar Levison to create the Dark Mail Alliance. The goal of the organization is to work on a new protocol to replace PGP that will encrypt email metadata, among other things that PGP is not capable of. 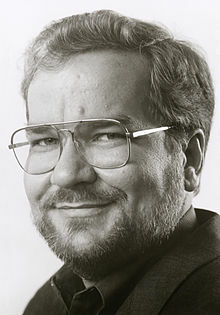 In 2013, an article on Zimmermann's Law quoted Phil Zimmermann as saying The natural flow of technology tends to move in the direction of making surveillance easier, and the ability of computers to track us doubles every eighteen months, in reference to Moore's law. In 2018, Zimmermann was inducted into Information System Security Association (ISSA) hall of fame by the ISSA International Organization on October 16, 2018. In 2012, Zimmermann was inducted into the Internet Hall of Fame by the Internet Society. In 2008, PC World named Zimmermann one of the "Top 50 Tech Visionaries" of the last 50 years. In 2006, eWeek ranked PGP 9th in the 25 Most Influential and Innovative Products introduced since the invention of the PC in 1981. In 2003, Reason named him a "Hero of Freedom"
In 2001, Zimmermann was inducted into the CRN Industry Hall of Fame. In 2000, InfoWorld named him one of the "Top 10 Innovators in E-business". In 1999, he received the Louis Brandeis Award from Privacy International. In 1998, he received a Lifetime Achievement Award from Secure Computing Magazine. In 1996, he received the Norbert Wiener Award for Social and Professional Responsibility for promoting the responsible use of technology. In 1995, he received the Chrysler Design Award for Innovation, and the Pioneer Award from the Electronic Frontier Foundation. In 1995, Newsweek also named Zimmermann one of the "Net 50", the 50 most influential people on the Internet. Simon Singh's The Code Book devotes an entire chapter to Zimmermann and PGP. ^ a b "Phil Zimmerman's Homepage: Background". Retrieved 2012-01-12. ^ a b Ranger, Steve (23 June 2015). "Defending the last missing pixels: Phil Zimmermann speaks out on encryption, privacy, and avoiding a surveillance state". TechRepublic. ^ Mollin, Richard A. (2007). An introduction to cryptography. CRC Press. p. 227. ISBN 9781420011241. ^ Sussman, Vic (March 26, 1995). "Lost in Kafka Territory". US News & World Report. Archived from the original on 16 June 2013. Retrieved 27 May 2012. ^ "Silent Circle". Silent Circle. Private By Design. Archived from the original on 11 June 2015. Retrieved 25 June 2015. ^ Om Malik (2013-08-11). "Zimmermann's Law: PGP inventor and Silent Circle co-founder Phil Zimmermann on the surveillance society — Tech News and Analysis". GigaOM. Retrieved 2013-08-20. ^ "Top 50 Tech Visionaries"
^ "Top 10 Innovators in E-business" Archived 2008-07-24 at the Wayback Machine. ^ Singh, Simon (2000). The Code Book: The Science of Secrecy from Ancient Egypt to Quantum Cryptography (US paperback ed.). Doubleday. ISBN 0-385-49532-3. ^ Zimmermann, Philip (1995). The Official PGP User's Guide. MIT Press. ISBN 0-262-74017-6. Conversation With Phil Zimmermann, Mikael Pawlo, GrepLaw, June 6, 2003. E-mail security hero takes on VoIP, Declan McCullagh, C|net, 15 August 2006. VON Pioneers: Philip Zimmermann Encrypts VoIP, VON Magazine, Jan 2007. This page is based on the Wikipedia article Phil Zimmermann; it is used under the Creative Commons Attribution-ShareAlike 3.0 Unported License (CC-BY-SA). You may redistribute it, verbatim or modified, providing that you comply with the terms of the CC-BY-SA.